Win big all day and sleep in luxurious comfort at night. After a big day or evening on the gaming floor treat yourself to a night of luxury in one of our fabulous hotel rooms. Harrahs Joliet Casino Hotel offers 200 premier rooms allowing our guests to extend their stay and their fun. Located along the Des Plaines River in picturesque downtown Joliet Harrahs Joliet offers the most exciting and finest hotel and casino in all of Chicagoland. 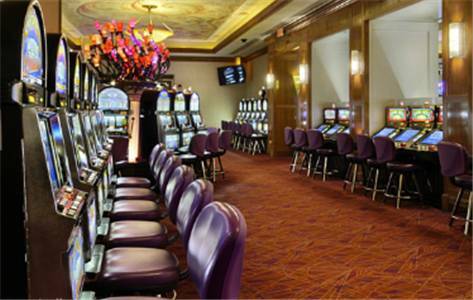 With world class amenities dining gaming and entertainment Harrahs Joliet is the perfect place to stay and play. Cxl 24 hours prior to arrival or pay first night plus tax. No show fee 1 night of stay tax incl. Exceptions may apply during holidays, special events or conventions. Tells the time during sunny days at a nudist camp.